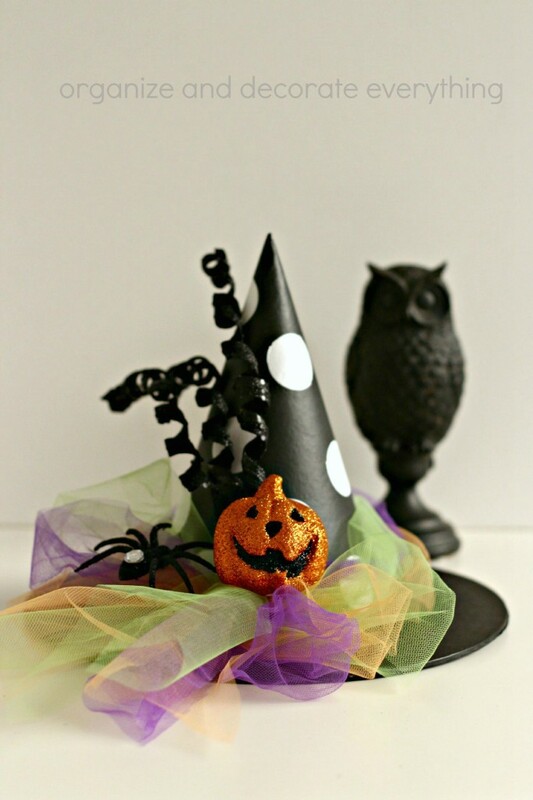 Make a Halloween Witches Hat in less than 30 minutes for a not so spooky Halloween decoration. I’m usually scrambling to get projects made before the upcoming holidays so I am determined to get things done ahead of time this year. 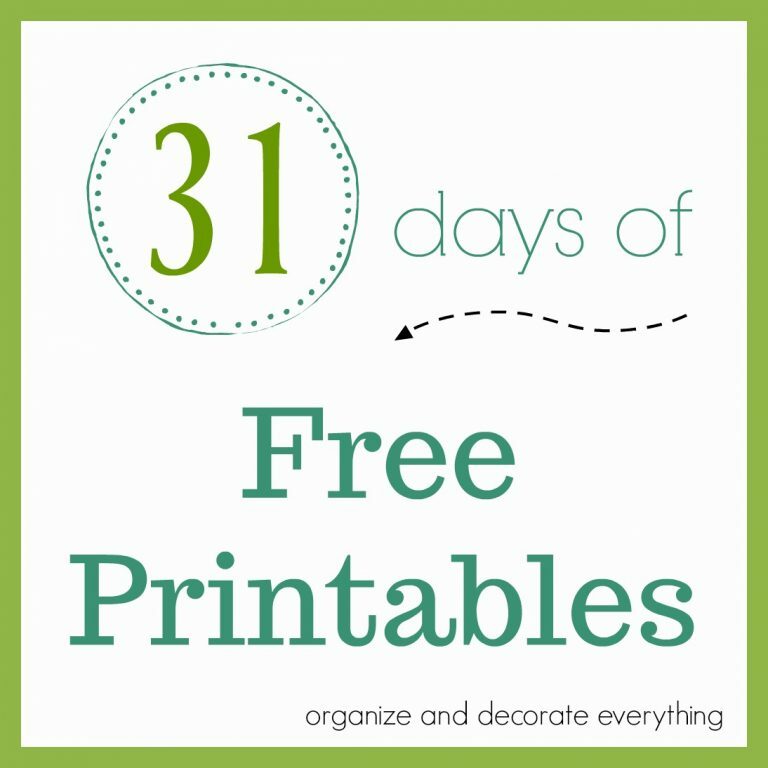 From now until the end of the year I have a goal to stay focused and work on some creative holiday decorations to share with you. I have a schedule made out and I’m trying to stick to it. I’m doing pretty good so far but let’s see how long it lasts, things always seem to come up. 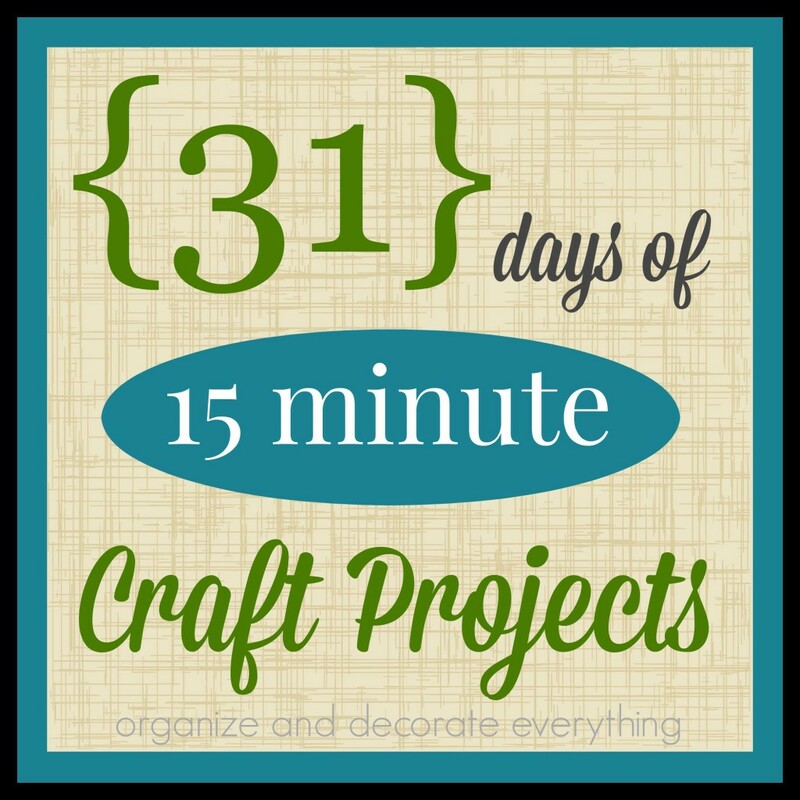 My goal is to get a project made enough ahead of time to give you time to be able to get it finished before the holiday too. 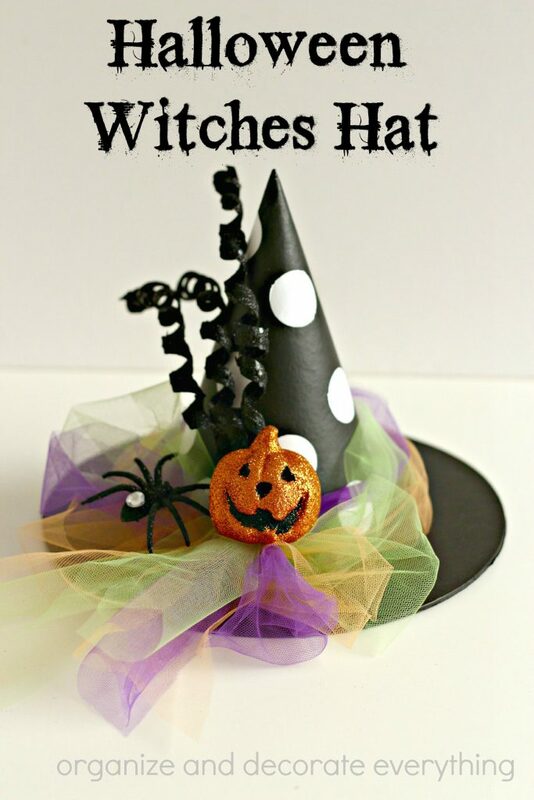 How cute is this Halloween Witches Hat? 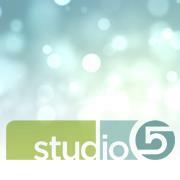 I think you’re going to want to make it! It takes about 30 minutes and that’s only because you need to wait for the paint to dry. 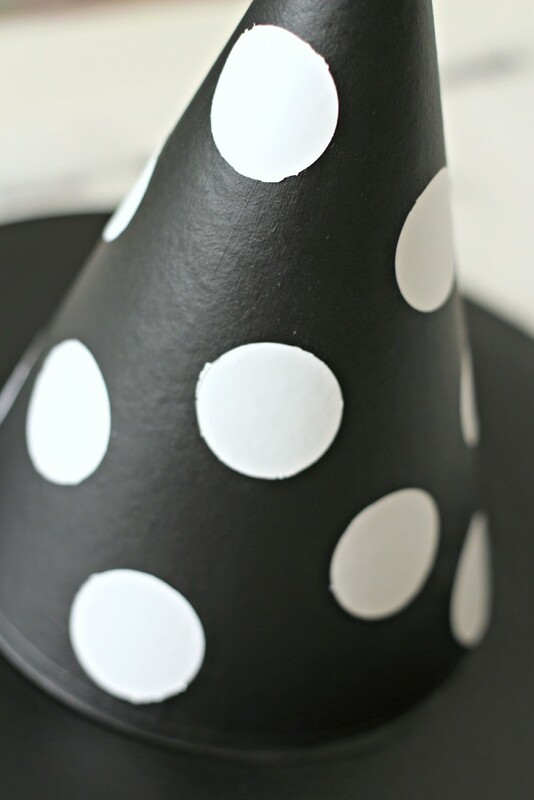 Use a sponge brush to paint the hat with the black paint. Wait for the first coat of paint to dry then apply a second coat. This is a matte black not a shiny black paint. 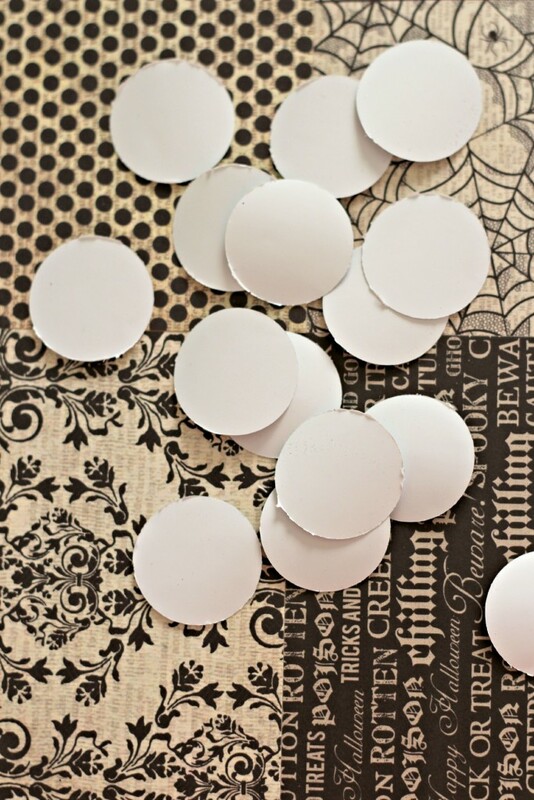 While the paint is drying, punch dots out of white vinyl with the 1 1/8″ circle punch. I punched out 14-15 circles. Place the dots randomly on the hat. Rub them on well. I didn’t apply any dots on the brim of the hat but you can. Punch out more dots if you would like. 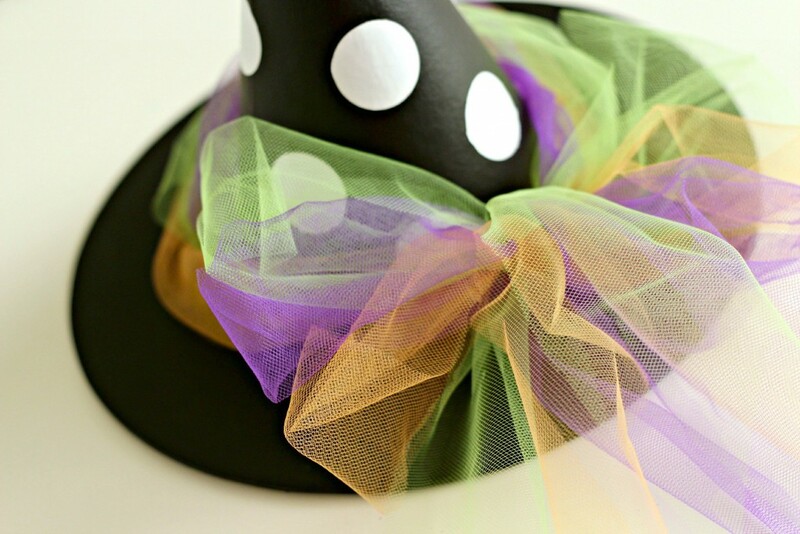 I had some left over tulle from a previous Halloween costume that I used to tie around the brim of the hat. 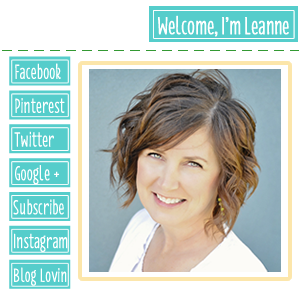 I cut the pieces about 4″ wide and about 40″ long. 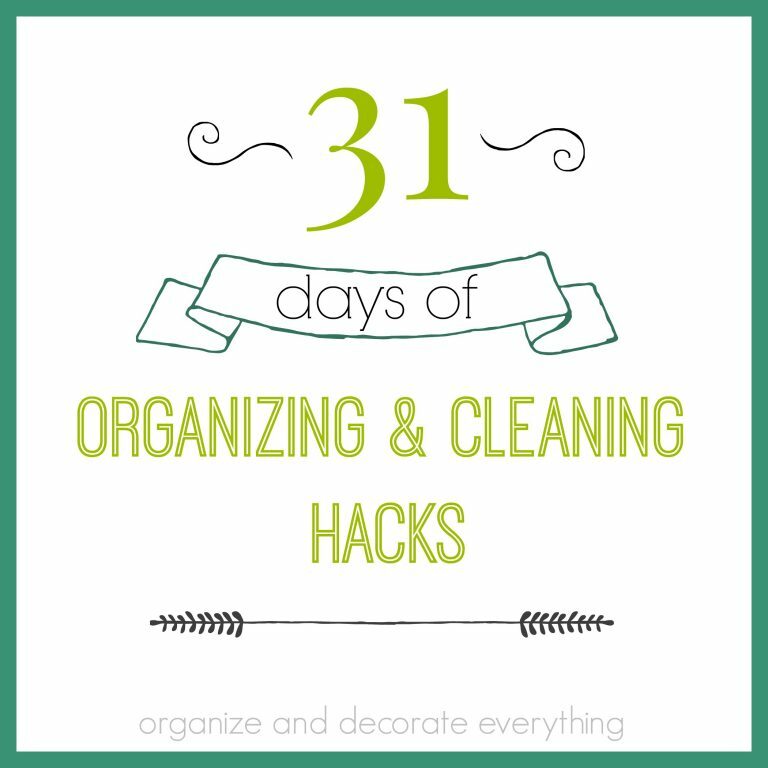 You could also use ribbon if you have some. 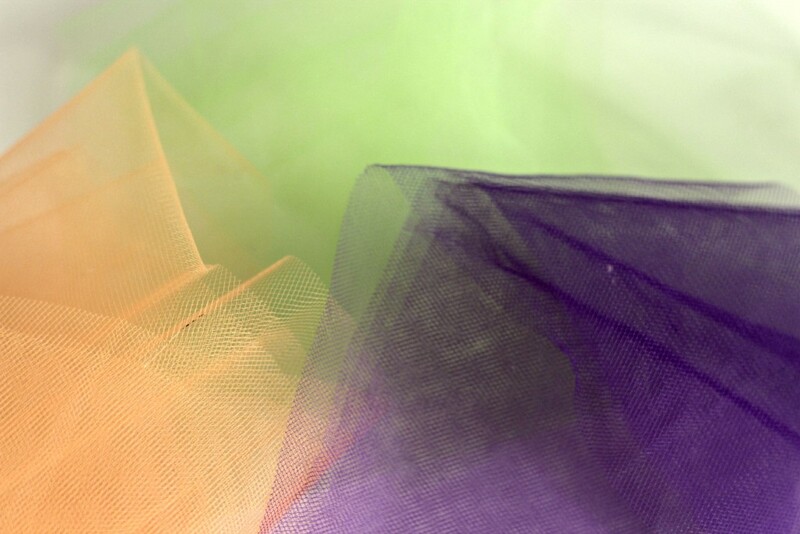 Gather the tulle pieces together and wrap around the hat. I twisted them together a little. Tie together in a bow and fluff. It’s a pretty messy bow, but I like it. 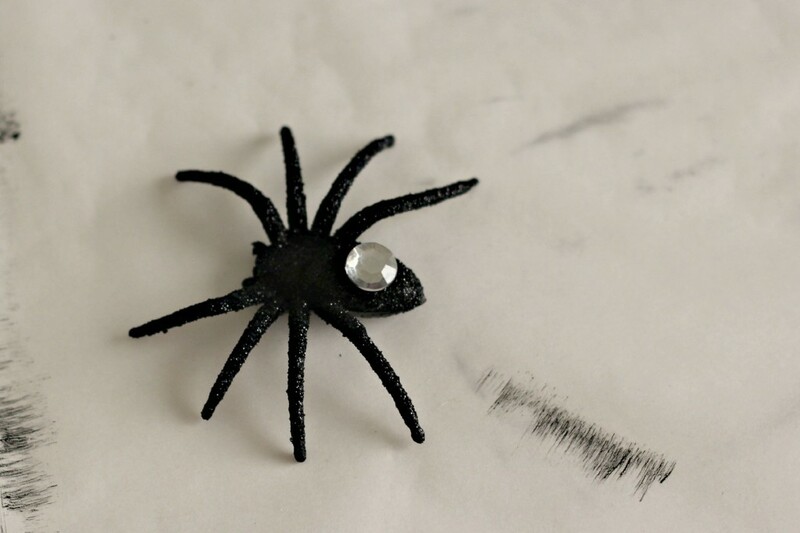 Glue the gem to the back of the spider for some added bling. Why not, right?! 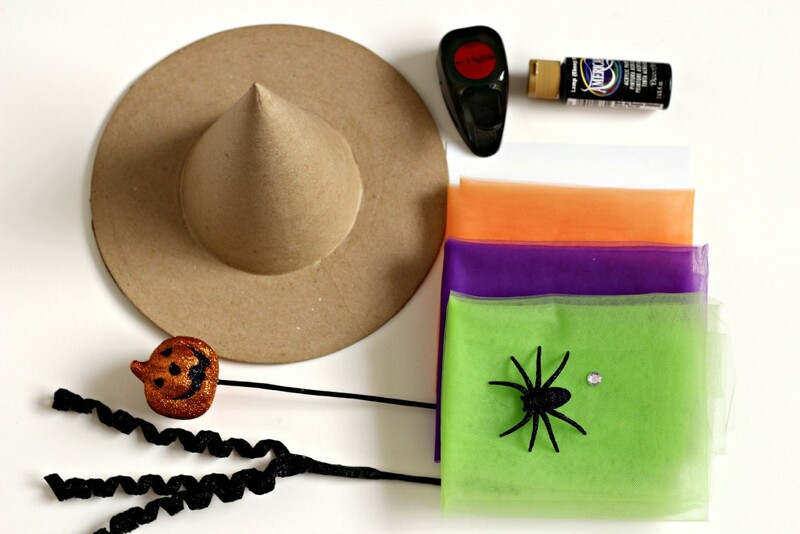 Use hot glue to add the embellishments to the hat. 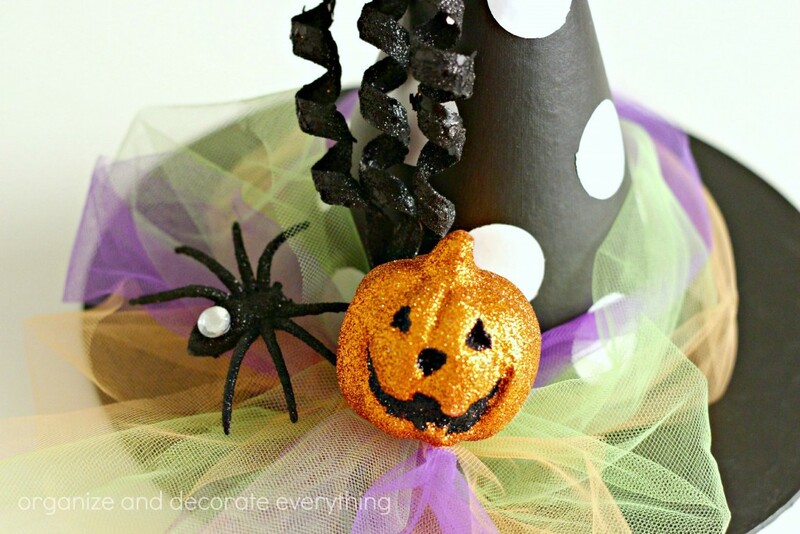 Glue the black spiral pick to the hat, then glue the jack-o-lantern to the top of the tulle bow. Add the spider next to the jack-o-lantern. I didn’t glue the spider on. Now I have to decide where to put it. It might show up on the mantel or even the bookcase. We’ll see. 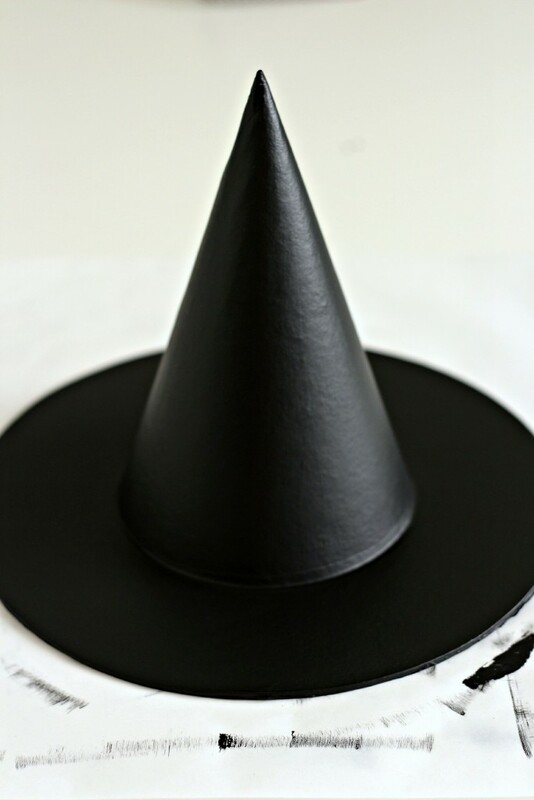 If you make a Witches Hat I would love to see it.